WSET Business Development Manager – Europe, Joseph Hallam DipWSET is winner of the Vintners’ Cup 2018, having achieved the highest aggregate mark in the WSET Diploma. Here he advises other students on how to study with success and explains the value of wine education for professionals around the world. What originally sparked your interest in wine and spirits and inspired you to embark on a career in the trade? I went to work for Majestic Wine straight out of university. I had thought about doing a post-grad but I also wanted a new challenge and to start chipping away at that debt. So, my compromise was whatever job I went into I had to still be learning, preferably with a new qualification and a chance to use that knowledge. The wine industry was an easy choice for me: I enjoyed wine but knew very little; I liked the idea of working with a tangible product; and I thought it would fit my studies in European languages. In my first job interview, when asked what my favourite wine was, I said Manzanilla. It’s so unique and it really stuck in my mind before I knew anything about wine. I’ve enjoyed learning how it ends up tasting the way it does, and I’m glad it’s still one of my favourites. I only spent a year at Majestic but I took in so much, tasting loads of wine, and having a brilliant manager who explained the different styles and regions. Being in a job where customers arrive and ask for advice in your first week really focuses the mind! Why do you think formal education is so important for wine and spirits professionals? People who work with me know this is one of my favourite topics… WSET qualifications were created out of a specific UK need in which we have always imported most of our wine; we aimed to prepare the domestic industry to understand these wines, to be able to digest a huge range of varieties, geographies, and winemaking techniques, and explain them simply. What I love doing in my job now is introducing WSET to Europeans who coming from the opposite angle and asking, “How do I make my local product attractive to buyers who have this enormous international choice?” We all have personal favourites, but formal education is the best environment to judge products objectively, comparatively, and with proper reasoning why they are similar or different. Have you found being connected to WSET, both in your career and as a qualification holder, has helped you when networking internationally? My job gives me a great opportunity to meet people across Europe with a huge range of experiences and expertise. I’m fascinated to see the different routes our students and educators have taken to arrive in a WSET classroom – but, whatever the background, generally I find a shared enthusiasm for understanding quality and context. In some ways I’m more at home overseas, so being a Diploma student has been my opportunity to make some friends in the UK trade. I’m probably doing things in reverse. As this year’s winner of the prestigious Vintners’ Cup, what was your secret to studying the WSET Diploma with such success? One of the big differences between Level 3 Award in Wines and Diploma is that you discuss the role of producers and brands, and students need to embrace this. If you can relate all the technical and legal information to something tangible and relevant to your market, that will help fix things in your memory. I don’t think technical sheets are the best way for producers to sell their wines, but they are great for students! And, sadly, I get really excited about an up-to-date, well-organised generic body website. Don’t ignore the fundamentals of the subject: I started every revision section by reading my Level 3 textbook. Yes, I am biased, but I really find this the clearest, most consistent book out there that covers all the major regions. Finally, have an opinion about what could improve the industry and why. Again, look at examples in your market or amongst your favourite wines and use those in your essays. Formal education is the best environment to judge products objectively, comparatively, and with proper reasoning why they are similar or different. What did you enjoy most about studying the Diploma? Were there any topics that you enjoyed more than you expected? I’m pretty open-minded and what has always appealed about the drinks industry in general, and studying the Diploma in particular, is the chance to study lots of different subjects, regions, and products. There were small surprises: I have always loved fizz but, in the past, I had really restricted myself to traditional method wines. The Diploma sessions reintroduced me to things like Sekt, Asti, and Lambrusco which I now open for friends and family whenever possible. I’m excited that I finally feel I have a decent grounding in this hugely diverse industry. In the last couple of years I’ve been able to identify a few regions and categories I want to learn even more about, so that’s the plan from here. 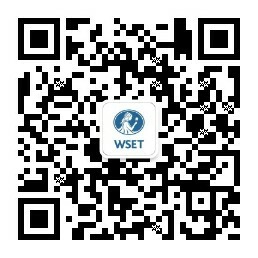 Learn about the graduates and prize winners of WSET Awards & Graduation 2019 here.